Very quickly, is it possible for PDF's to render links? Currently I generate a PDF and it shows the link in text. Been keen to know if there is a way for the URL to display as a link. You can see, I made a link out of the label.When I generate the PDF file, the link text was retain and clickable. Was this what you meant on your inquiry? Please inform us if it is not the answer to your inquiry. Meant as in the PDF that is produced when a form is submitted. IE: If I submit a form it creates a the link that generates a PDF. Can that PDF record of the submission render links. I cannot find yet the means to generate pdf link after submit. 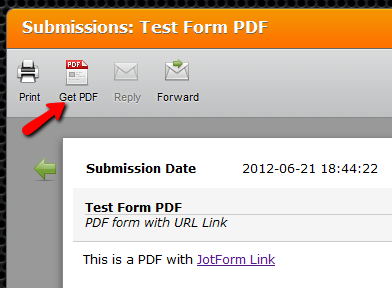 But if you test the form again, I created the thank you page with a link to the pdf report of the form submission.